I simply can’t think that this is the end of the line for Derek Jeter. El Capitan will probably exercise his $8 MIL Player Option and return for a 2014 Season. It will likely be his swan song season. The Yankees should not be move off of their under $189 MIL for the Shortstop, however they have to be active in Free Agency with the money they have. If I am New York, you have to cap Robinson Cano at $25 – $28 MIL, and I would take it one step forward, and ask the guy for some salary relief in the 2014 year, so that the team can get under the $189 MIL Luxury Tax Threshold. The Yankees would also be better with signing two Starting Pitchers to long – term deals in Free Agency, like possibly Ricky Nolasco and Matt Garza. The Yankees should receive a break on financial flexibility with the A – ROD suspension saving a big portion (if not full) restitution on his $27.5 MIL contract for 2014. If I were in the GM seat, I would resign Brendan Ryan and Mark Reynolds pronto, as they won’t cost this team a bundle of cash – and can provide great versatility and depth. You need this with the uncertainty of the A-ROD suspension – and Teixeira coming back off of his wrist injury. If they can’t resign Cano, I would be 1st in line to sign Omar Infante from the Detroit Tigers. The man is a great contact hitter, has slashed .318/.345/.797 in 2013 – and can play SS/2B/3B. The only other power bat available in Free Agency for the position of Second Base is Kelly Johnson. If they can get the guy on a decent contract, I would gladly add his 20+ HR power, as you may struggle on the left side with Jeter and Nunez. I would sign A.J. Pierzynski or Brian McCann to replace the Catcher for the club. McCann may cost you more, but you could structure his contract to backload a deal. I would offer the current Brave a 4 Year Deal/$40 MIL. The Yankees will be free spending again in the 2014 Winter, but considering there are no good Catchers on the FA market, they best use this year to land McCann, or at the least Pierzynski (at a 1 Yr Deal). After this year, they should let Curtis Granderson walk, but I would dangle that $15 MIL qualifying offer to him, in order to retain a Draft Pick. If he signs, you will have 5 Outfielders, however with the DH position being able to rotate in and out, you can see this happen. Alex Rodriguez DH: 25.0 (signed thru 2017.) 2015 – $21 MIL, 2016 – 2017 both $20 MIL. He will also make $30 MIL left in marketing bonuses should he hit escalating marketing bonuses from HRs 661 through 763. At this rate, maybe he will never collect on all of those. The base is ridiculous enough at $86 MIL over the next 4 years. At best he may turn back to a .250/.310/700 with around 50 RBI a year from 2015 – 2017. Hardly worthy of a $22.8 MIL average salary from 2014 – 2017. Mark Teixeira 1B : 22.5 (Signed thru 2016). ‘Tex’ makes $22.5 MIL for every year for 2014 – 2016. If he can just hit 30 HRs, drive in 100 RBI (despite BA) the Yankees will take it for the money given out. The Switch Hitter still took home a Gold Glove for the franchise in 2012. His 24 HRs and 84 RBI were also accomplished in 122 Games. This guy may be overpaid, but is certainly not a flop and an above average First Baseman. CC Sabathia SP: 23.0 (Signed thru 2017). He makes $23 Mil also in 2015, before he makes $25 MIL for 2016. There is a 2017 Vesting Option for $25 MIL. Salary guaranteed if he does not end 2016 on the Disabled List with a left shoulder injury, or he does not spend more than 45 days on the DL.in 2017. Ichiro Suzuki OF: 6.5 and will be a Free Agent in 2015.) Again, I would tie the years commitment with Jeter and him together. It may happen again in 2014 (with Suzuki being signed and Jeter having a Player Option), past this – everyone would really be stretching their luck. Alfonso Soriano OF/DH: $5.0 (Free Agent in 2015) An absolute steal for $5 MIL next year, could see some time as DH. 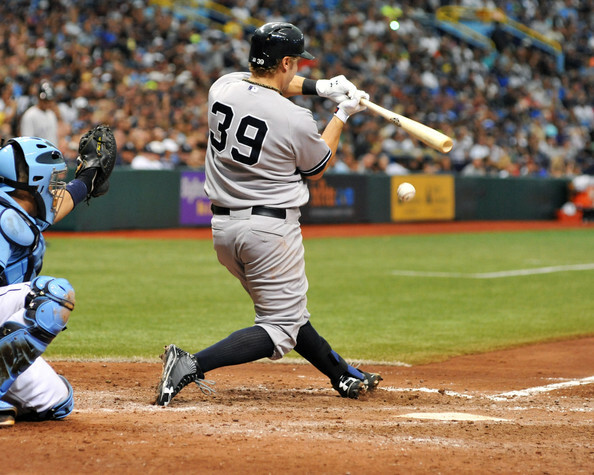 Brett Gardner CF/LF: 2.9 (Is Arbitration Eligible in 2014 and a Free Agent in 2015.) Speed guys don’t generate huge raises in Arbitration. The management has to be hoping that Gardner can put his injuries behind him and be a productive Outfielder for the next few years. Look for Gardner to receive about $5 MIL in his final year of Arbitration. If Jeter retires, he most certainly could head up to the top of the lineup with a decent OBP. Vernon Wells OF: 2.4 (Free Agent in 2015. This guy is going to be a good 4tn or 5th OF for the squad next year. About 90% of his big contract was paid for by the Angels for the 2014 campaign. David Robertson RP: 3.1 (2014 is probably bumped to $5.0 MIL). The Yankees are hoping Robertson will take over the reigns as Closer from Rivera next campaign. It would be cheaper for him to be signed – rather than coveting a Free Agent Closer seeking multiple years past 2014. Is Arbitration Eligible in 2014 and a Free Agent in 2015. Shawn Kelley RP: 935 K – Is Arbitration Eligible in 2014 and 2015, and a Free Agent in 2016. Jayson Nix UT: 900 K – Is Arbitration Eligible in 2014 and 2015, and a Free Agent in 2016. Ivan Nova has to step up his play in the next few years for New York – like he did to end the year. He will be launched up the Depth Chart in 2014. 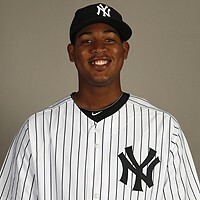 It would be good if the club still signed a few more SP, however Nova’s internal improvement would do wonders for NYY. Ivan Nova SP: 576 K – Is Arbitration Eligible in 2014 and 2015, and a Free Agent in 2016. Will likely triple his 2013 salary – and take a back end of the rotation spot. Michael Pineda SP: 528K (2014) This guy is VITAL to the franchises future success. 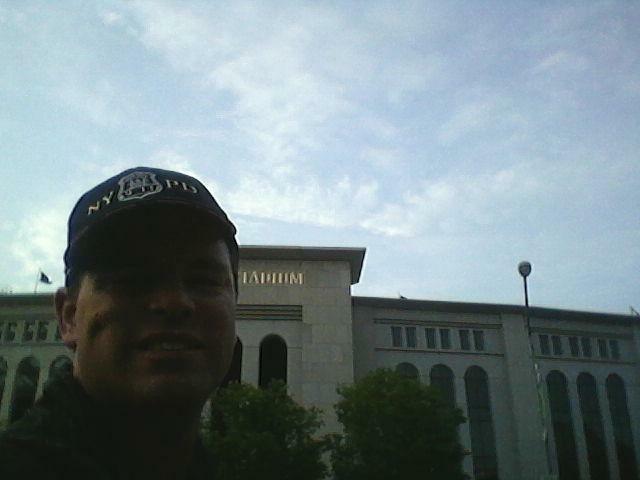 Being under team control for New York until would serve them well if he can be a solid #2 or #3 Starting Pitcher. Is Arbitration Eligible in 2014 (won’t see much of a raise) and a Free Agent in 2017. Eduardo Nunez 3B/SS: 524 K Back up INF, may have a more significant role in years ahead. Is Arbitration Eligible in 2014 – 2017 and a Free Agent in 2018. Could see lots of playing time in 2014. David Huff SP: 494 K Is Arbitration Eligible in 2014 – 2017, and a Free Agent in 2016. I would take a chance on this guy as you need 8 Starters in a year at least. Chris Stewart C: (483K) Is Arbitration Eligible in 2014 – 2016 and a Free Agent in 2017. Cody Eppley RP: (481 K) Is Arbitration Eligible in 2014 – 2017 and a Free Agent in 2018. 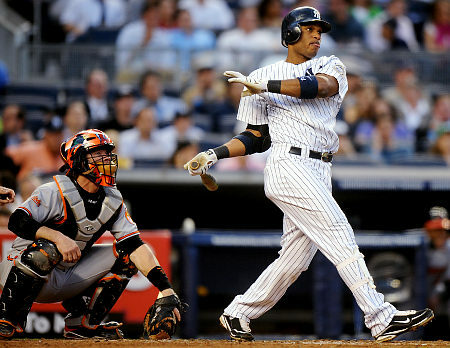 Robinson Cano 2B: 15.0 (Signed thru 2013 and is an Unrestricted Free Agent in 2014). Kuroda will either come back to NYY in 2014 – or head back to Japan. Curtis Granderson OF: 13.0 – Give him the Qualifying Offer of 1 YR/$15 MIL. Granderson will be able to seek a big 3 – 4 Year Deal worth $11-$14 MIL per year based on what guys with similar numbers were signing for this past winter. Travis Hafner DH/1B: 2.0 With Vernon Wells already on the club, and needing the DH spot potentially for Jeter, Texiera – and Rodriguez (should he not receive the full season on suspension), Pronk is gone. Lyle Overbay 1B/DH: Sorry Lyle, you did good in 2013 for the NYY, but Tex should be back. Brendan Ryan UT INF: 3.25 in 2013: Ryan is a great defender, and he and Nix should be the extreme Utility guys on your squad. Mark Reynolds is the perfect insurance the club needs. Already since he has been in the Bronx, he had played 2B/3B/1B and DH. 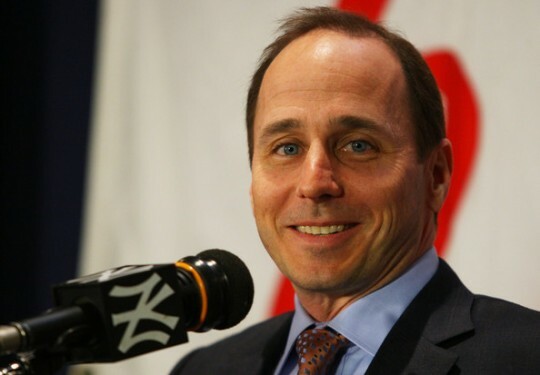 What is Cashman waiting for? Sign this guy for 1 – 2 years at about $3 – $4 MIL per year – with some potential incentives. He can be your everyday 3B should A-Rod be gone for the season in suspension. And what if Jeter doesn’t come back? Nunez could take over for 3B – and then who is playing SS, Jayson Nix? Reynolds has the Right Handed power. Sign him right now while his price is down – and so he does not enter a depleted Free Agent crop of players. Mark Reynolds 3B/2B: $6.0 in 2013. Andy Pettitte SP: 12.0 – He is retiring. Phil Hughes SP: 7.2 – Don’t offer him anything, let him walk. Boone Logan RP: (2013 is bumped to $3.2 MIL) Logan falls right into the club’s philosophy and will not make or break the teams payroll structure in going forward. I resign this guy for a $3.5 MIL to $4 MIL deal. Joba Chamberlain RP: (1.9 in 2013). Same as Hughes. Vidal Nuno SP: Is Arbitration Eligible in 2016 – 2018, and a Free Agent in 2019. Austin Romine C: (482K) Is Arbitration Eligible in 2015 and a Free Agent in 2019. Dellin Betances SP: (481K) Is Arbitration Eligible in 2015 and a Free Agent in 2019. Cesar Cabral RP: (480K) Service Clock has not started yet. Is Arbitration Eligible in 2016 and a Free Agent in 2019. David Phelps SP: (480K) Would really save the club’s bacon by panning out as a Major League Pitcher. The organization needs quality players that are team controllable. Is Arbitration Eligible in 2015 and a Free Agent in 2019. He should have about $85 MIL to work with. He will know the Arbitrator’s ruling for the A-Rod suspension by then. If it is reduced to 100 Games, the club will still be on the hook for about $11 MIL. The Yankees will just not be as competitive in 2014. Luckily, the Outfield should not be a problem, although with Suzuki and Soriano, you have two guys north of 37. If Cano doesn’t resign, you would have some additional dollars to sign new players. I would then sign Infante, McCann + the two top Starting Pitchers on the market (Nolasco and Garza). If he does sign, I am thinking you have enough room to sign 2 new SP and the Second Baseman, you could see them make a play for Pierzynski or a guy like John Buck at Catcher. The key all centers on Cano. Like I mentioned, you have a chance to sign him with the A-ROD $ coming off, however – his 2014 contract can’t be north of $25 MIL. Yankees Management would love Jeter to play in one more season during the 2014 year. After next campaign. the free for all spending ‘Bronx Bombers’ should return after the Luxury Tax Threshold has been reset. Brian Cashman did not want Alfonso Soriano, yet that move has given the franchise some optimism to maintain under the $189 MIL Threshold next year, by having 4 OF retained for about $22 MIL total in 2014. He will be front and center in the Robinson Cano sweepstakes. Derek Jeter also may retire (although I am not predicting this). First set of moves it to resign some Utility guys in Reynolds and Ryan, sign a New Catcher, 1 – 2 FA Starting Pitchers. The team should also know how much salary relief they will get after the A-ROD Suspension is finalized. Whatever happens, Cashman will have a busy winter ahead. Posted on September 27, 2013, in MLB Payroll and Contracts, MLB Teams: Articles and Analysis, The Rest: Everything Baseball and tagged @MLBreports on twitter, a.j. pierzynski, AL East, alex rodriguez, alfonso soriano, andy pettitte, Atlanta Braves, austin romine, boone logan, Brendan Ryan, brian cashman, Brian McCann, cc sabathia, Cesar Cabral, chris stewart, Chuck Booth. fastest 30 ballgames, cody eppley, curtis granderson, David Huff, david phelps, david robertson, dellin betances, detroit tigers, eduardo nunez, francisco cervelli, hiroki kuroda, ichiro suzuki, ivan nova, jayson nix, joba chamberlain, joe girardi, john buck, kelly johnson, kevin youkilis, lyle overbay, manuel banuelos, mariano rivera, mark reynolds, mark texeira, matt garza, michael pineda, New York Yankees Payroll 2014, omar infante, phil hughes, ricky nolasco, travis hafner, twitter @chuckbooth3024, vernon wells, Vidal Nuno, yankees 25 Man Roster, yankees 40 man roster. Bookmark the permalink. Leave a comment.